Fancy a different way to celebrate Christmas? As cheerful as it sounds, the beauty of Christmas lies in the unique ways people celebrate it around the world. How fascinating are the traditions, people are following since the old times? Here are some diverse Christmas traditions, we came across. We all know that concept of Advent originated in ancient Germany, so Advent is a big part of German Christmas celebration. On St. Nicholas Day (6th December ), when the actual celebration begins, as a part of the tradition, kids keep their shoes outside their home. According to the legend, the spirit of St. Nicholas goes from house to house to deliver gifts to kids. Also, having and decorating a Christmas Tree is a big part of the German culture. The 3rd largest Catholic nation in the world has its own distinct way of celebrating Christmas. The part of the tradition includes the beginning of Christmas traditions as early as September. Yes! you heard it right. What distinguishes them from other mainstream Christmas Trees, carols and Santa Claus is the Giant Lantern Festival. Held on the last Saturday before the Christmas Eve, it attracts people from all over the world. One of the major traditions is the St. Lucia’s Day, which is celebrated on 13th of December. The celebration comes from the stories by cenobites who brought Christianity to Sweden. St. Lucia was a young Christian girl who was martyred for her faith. Another tradition is the tradition of Yule Goat of Gävle. 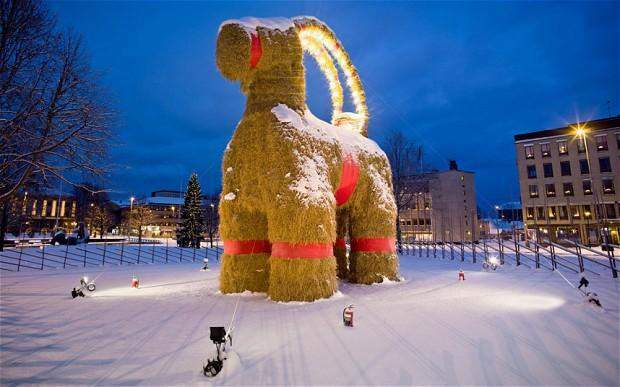 Since 1966 a 13-metre tall Yule Goat is built in the centre of the city of Gävle. But, unfortunately, it has been a victim of vandalism since. Vandals have burnt it down 29 times since the very first time it was built. Celebrating Christmas in the hottest weather of the year, due to their geography, doesn’t stop them from getting into Christmas spirit. 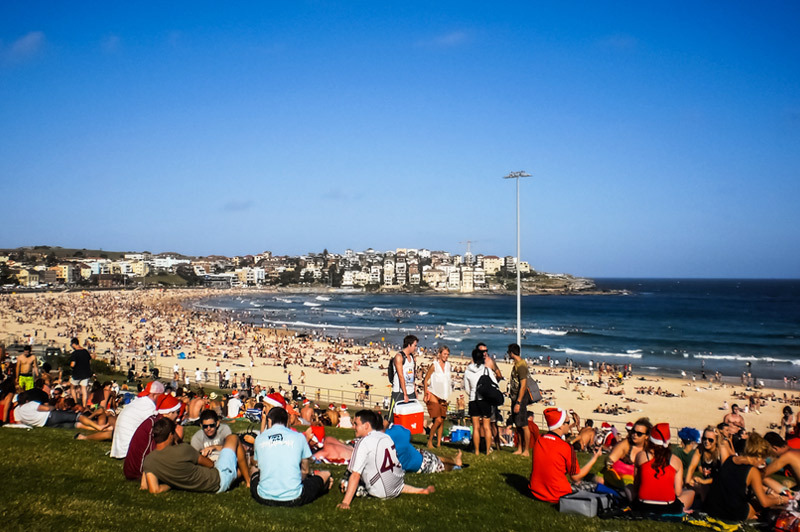 They celebrate Christmas with amazing barbecues and big outdoor concerts. Up to 40,000 people gather at different beaches to barbecue and ease the heat. They usually decorate their houses with Australian bushes and the famous Carol by Candlelight services takes place. Families exchange gifts on the Christmas Eve. Other than Santa Claus, gifts can also be brought by ‘Nisse’ (Hobgoblins). Generally, a rice porridge is kept outside for the Nisse, as they are believed to protect the farm animals. 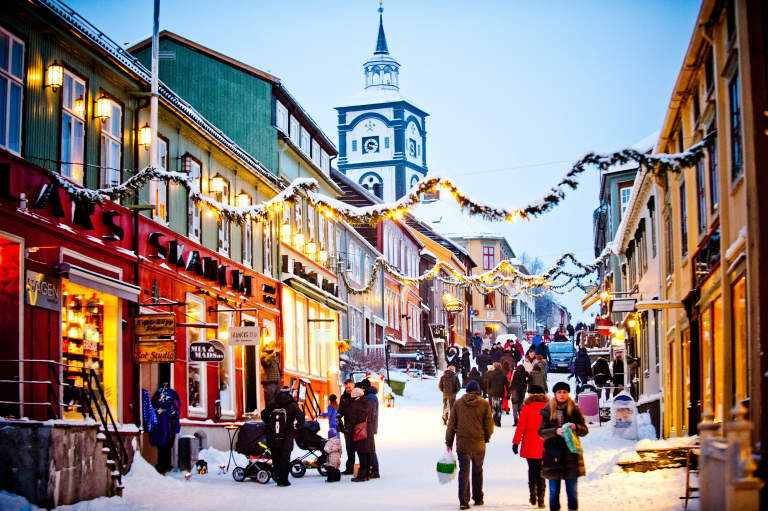 A very popular song at Christmas time in Norway is the Musevisa (The Mouse Song) is also one of the major traditions. A very interesting tradition of ‘hiding a broomstick’ also takes place, when centuries back people believed that witches came out on Christmas eve to ride on brooms. Have you ever been a part of any of these traditions? If there are other traditions and magical moments you have experienced, we will be glad to hear them in the comment section bellow! Great post and beautiful photos. Thank you for following BrewNSpew. It is absolutely our pleasure ❤ Thank you!